The Miami real estate development company Sky Development takes a modernistic approach to property investment, sales and development. CEO Yizhak Toledano incorporated Sky Development seven (7) years ago and has since staked an impressive claim in the real estate market in Miami. Sky Development is a far-sighted company with a knack for spotting a likely prospect for future fiscal gain. From the luxurious Royal Palm Apartments to Las Vegas style condominium complexes such as The Residence at Canyon Gate; variety and style remains the common ground between all projects undertaken by Sky Development. In a somewhat unusual yet interesting approach, Sky Development oversees all areas of transformation of the property. 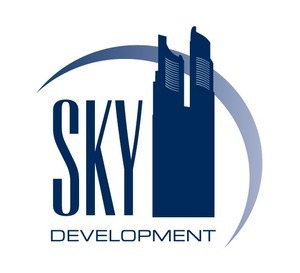 From the initial acquisition through careful consideration and expert investigation to the refurbishment, development and eventual marketing of the superior property before selling it, Sky Development is there every step of the way. This hands-on approach of providing a full complement of services, coupled with the ability to gauge potential, is part of what makes Sky Development a flourishing enterprise. Reminiscent of futuristic villages in science fiction movies, Sky Development brings developments of varied purpose to the market. These community driven areas combine style and practicality in attractive surroundings. One such development received the Visionary Development Award in 2007 in recognition of the outstanding far-sighted design and execution of the development. By bringing shopping, living and working areas together in a single location, occupants are able to spend the time they would ordinarily spend commuting, doing things they prefer doing. Entertainment venues and shopping facilities are within walking distance, making these novel developments the ultimate lifestyle convenience. By addressing the very real problem of work and life balance in modern times, these developments brought to the public by Sky Development is making a daily impact on occupant’s lives. Sky Development is working concertedly towards the common objective of real estate development excellence. Known in the industry as a great place to work at, the dynamic atmosphere at Sky Development is an ideal place for the carefully selected and award-winning employees to realize their full potential. The meticulous selection process that is facilitated before employees are hired ensures that Sky Development has only top staff members that work towards the high standards maintained by the company. Employee contentment is also considered of utmost importance and Sky Development has a reputation for looking after staff members. The same care taken in staff selection is also taken at Sky Development before commencing a project. Detailed feasibility studies that are considerate of market impact are undertaken while the project is in its’ infancy. This process includes housing analysis, evaluation of demographics and demand assessment. Extensive research is also conducted to determine rental yield or potential for profit from sales. This is gained by doing market research to determine housing needs in the area. The conscientiousness in which Sky Development conducts all activities is a large part of what leads to their ultimate success in the industry.